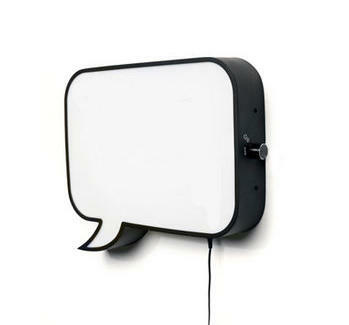 From a Barcelona-based graphic designer working for a Norwegian collective comes this wall-mounted "LED Light Board", shaped like a speech bubble and made of marker-friendly whiteboard material, instantly turning even the most asinine notions into bright ideas! Or not. Whatever man, it's Wednesday.